We finally incorporated yoga into the practice at HLC Wellness. Not only did we incorporate it, but we took it to the next level. SALT ROOM YOGA IS HERE IN LAKE MARY! Experience a restorative yoga session with your yoga instructor while breathing in the salt air mist from our cutting edge halogenerator. The salt room is magical with dim lighting and himalayan salt panels covering the corners of the walls while you practice yoga on a floor covered in 2300 pounds of Pink Himalayan salt. 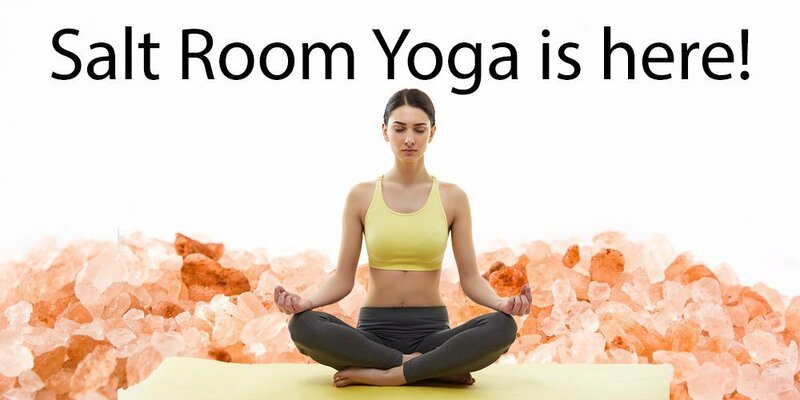 The room is an experience in itself but when you combine it with a yoga class, it doesn’t get any better than this. We want our yoga to be different, to be special… so we limited it to 5 students and 1 instructor per class. Restorative yoga provides healing for the body and the mind. It is especially useful when you need to eliminate fatigue and stress that result from your daily activities. It can also help you recover from illness and injury or overcome emotional depression and anxiety that are caused by traumatic events such as divorce, loss of job and death of a beloved.